This article is brought to you by Chief Risk Officer Gregory A. Roskopf. 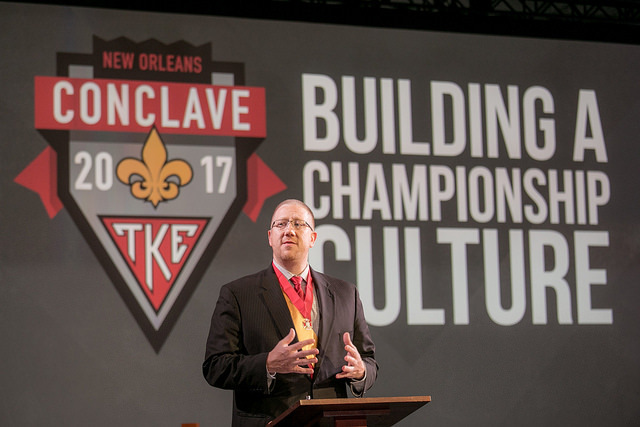 Those of you fortunate enough to have attended Conclave 2017 in New Orleans will remember Frater Roskopf’s excellent presentation on Unrealistic Recruitment. With another successful Conclave in the books and groups preparing to return to campus, fall recruitment will be quickly upon us. For some, it has already started. For others, recruitment never stopped! As the “Lifeblood of the Fraternity,” recruiting new members is crucial to a chapter or colony’s success. Here are 10 ways groups get it wrong and how to potentially avoid these recruitment pitfalls. Groups who practice the art of conversation, and know how to shake another’s hand, will outperform those who do not every time. Set aside time every week (every day if you can) to practice and prepare for recruitment. Mock recruitment interactions, how to overcome objections, and simple conversation starters will turn “hey, so what’s your major?” type conversations into a legitimate conversation. Real conversations lead to bids. Would you go on a road trip to a new place without maps or GPS? No, you would not. Recruiting is no different. Not knowing what qualities you are looking for in a potential new member is no different than wandering the country hoping you find what you set out for. Take the time to discuss standards with the Recruitment Committee and the Membership Quality Board. Once you know who you need to recruit, train the chapter to go out and find them. Refusing to talk about money only creates future problems. There are costs associated with joining an organization such as TKE. By focusing on the value your chapter provides, the often-dreaded discussion of finances will become one of excitement and enthusiasm. People have no problem paying for value. Just look around you at what people own or are wearing. That iPhone has plenty of value - value that the individual paid for. Show the value during recruitment, sign the bid, and close the deal. TKE HQ is often asked what sort of events a group should host. I always give the same answer – do what you always do, just invite more people. It really is that simple. Think of your events as a way for potential new members to take a test drive. Show them what your brotherhood is all about. After all, talk is cheap and everyone knows it. So is putting on a show for a few weeks, only to have your new members leave because what you sold them is not what you are now providing them. Why do people not join a fraternity? They weren’t asked. This comes up on most surveys as one of the top answers. How do you give a bid? Have you practiced how to give a bid? Learn how to close the deal and put it in writing. It shows commitment, for both the potential candidate and the chapter or colony. I’m not just talking about listening to the Recruitment Chair either. Are your members paying attention to the potential candidates when they are speaking? Are they being active listeners? Since we’ve already covered training, your members are well aware they need to ask open-ended questions that talk about prospect’s motivations. If they are really listening, they can show the prospect that the Fraternity can help them meet their needs. Go back to item one and retrain your team on this. Share the new member education plan and be open. Much like the money conversation, holding back on new member expectations is another pitfall for groups. Again, here is where the real value lies, in helping build up another’s skills, network, and impact on campus. Why hide it? 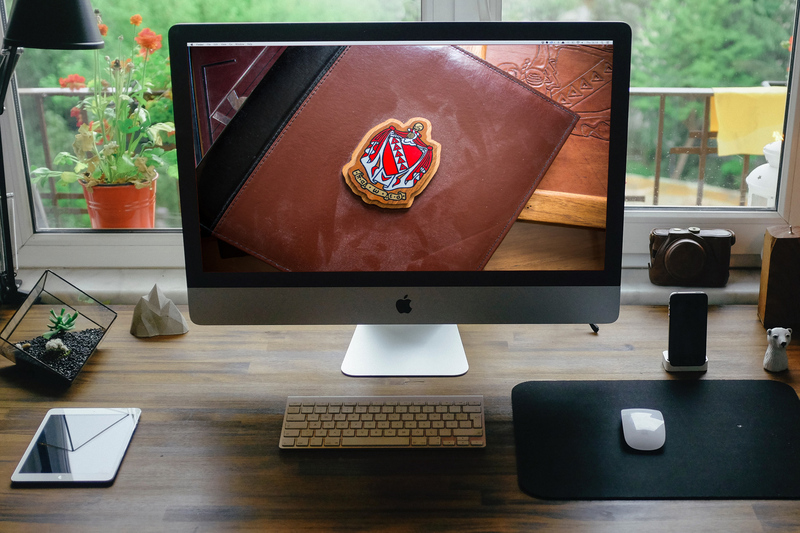 If you are recruiting from the chapter house, chances are you are either at a campus with structured rush or recruiting with methods from the 1980s. Hear me out. In today’s world, you have to go to the people and be ready when they come to you – digitally and socially. How is your social media game? What story are you telling on Instagram, Snapchat, or Facebook? Don’t be fooled; potential new members have almost certainly researched your chapter online. If your chapter is more concerned with being liked than being who you really are, prospects will see right through you. When is the last time your chapter did ritual or discussed the Declaration of Principles and how these dominate our daily lives? Trying to be anything other than the best version of yourself, of TKE, is a recipe for failure. Double down on Love, Charity, and Esteem and leave the wannabe mentality to the haters. Rarely, if ever, does it take just one conversation in recruitment. What is your chapter or colony’s plan for following up on that list? Are you using text messages or making phone calls? Who is doing the follow-up? In sales, it takes five to eight contacts to make a sale. Recruitment is about the same. All too often leaders underestimate the amount of action it takes to be successful. Don’t drop the ball on your prospects. Own your list, take action, and celebrate your success. It takes the right combination of skills, organization, and motivation to make all of this work. Focusing your efforts in these three areas will yield results. Failing to do so will breed negativity and tear down opportunity. Instead, learn recruitment and train not only yourself but the men around you. If you and your chapter or colony need help, reach out to our team, your alumni, or your campus fraternity advisor. We would be glad to help.